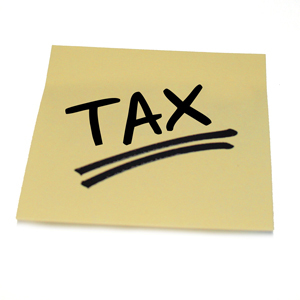 VAT – the option to tax or not to tax? When you legally have the option of either paying or not paying VAT, it’s always preferable not to pay rather than claiming it back as input tax after payment to a supplier. One example where this is the case is when non-residential property is purchased with the intention of being used as a dwelling, or being converted into dwellings. Imagine a property developer plans to convert an office block into ten flats for rental or sale, and agrees to purchase a suitable block for £700,000 plus VAT. Before exchanging contracts with the seller, the developer issues them with a certificate to disapply the option to tax buildings for conversion into dwellings, also known as form VAT1614D. This confirms the developers’ intentions to convert the office block, and makes the sale exempt from VAT. According to VAT Notice 742C, paragraph 3.4.3, the seller can’t refuse the form and it doesn’t need to be sent to HMRC. As form VAT1614D just states the developer’s intentions, planning permission for the conversion isn’t needed at this stage either. However, here’s a second example where not paying VAT isn’t an option. Two people who trade in a partnership run a nursery for children. They aren’t VAT registered as their entire income is VAT-exempt. The pair look to buy the freehold on a property to be wholly used to run the nursery business for £500,000 plus VAT. Before the purchase, the partners consult with their accountant about the possibility of buying the building in a limited company where they are shareholders, also known as a connected legal entity. Doing this would allow the company to make an option to tax election on the property and register for VAT, allowing input tax of £100,000 to be claimed on the purchase of the building. The newly created company would then charge the pair annual commercial rent of £20,000 plus VAT. VAT Notice 742A, section 13, would block this from happening through anti-avoidance legislation. As such, the option to tax election would be disapplied for three reasons. Firstly, the two legal entities are connected to each other. Secondly, the supplies are being made exempt which exceed 80% of the trading business’ total supplies. Lastly, as the price of the property was over £250,000 before VAT, it falls within the regulations of the capital goods scheme.